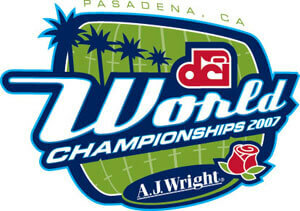 The DCI World Championships come to Pasadena in 2007! Sit right in the middle of all the action at Rose Bowl Stadium with the purchase of Super 3 package tickets. Q: What are Super 3 ticket packages? A: A Super 3 ticket package gives you the opportunity to reserve some of the best seats Pasadena's Rose Bowl Stadium has to offer for the 2007 World Championship. By ordering, you'll reserve the same seats for all three nights of Division I competition, including Quarterfinals, Semifinals and Finals. Q: When and how can I order a Super 3 package? A: Order by phone, fax, or Web (www.DCI.org) starting Thursday, Aug. 17, 2006, at noon Central time. Q: When do single night tickets for the 2007 World Championships go on sale? A: Single night tickets go on sale beginning Tuesday, Sept. 5, 2006 at noon Central time. Find more information about Super 3 tickets. Order Super 3 ticket packages Thursday, Aug. 17, at noon Central time.